Early in the year of 2018, mining was profitable enough and the only issue for miners was to obtain the video cards because almost all of them were sold out or extremely overpriced. For example, in January the price of the RX580 card was about $600. Nevertheless, during that gold rush, people mined whatever they like and bought video cards of any type, because it was profitable. If you managed to get the video cards at a low cost, you could earn money, big time. When the profitability started to fall, mining began to transform into smarter mining. 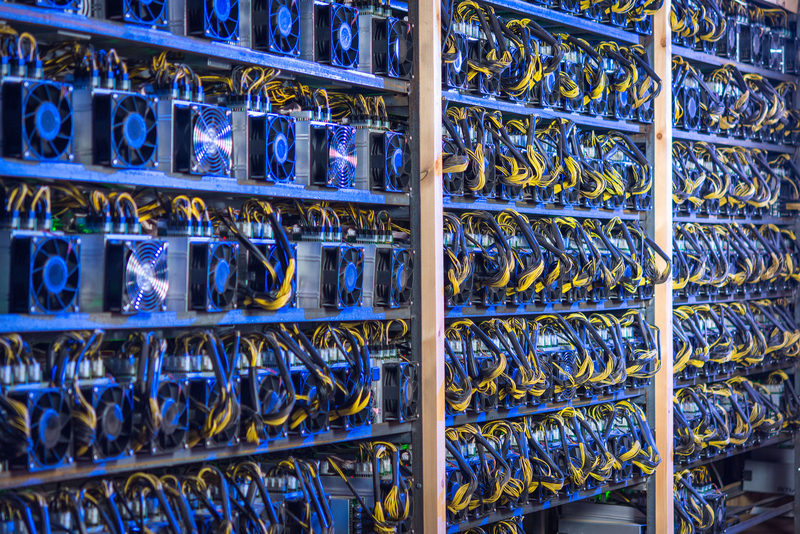 It means that it’s less difficult to obtain good equipment at a reasonable price but this means that now we have to be smart about how we mine. Carefully choose the equipment since it’s vital how important how long it can operate for. For example, Canaan provides 12 month warranty, while Bitmain has only 6 months on their Antminer S9. Besides, it takes time to get this warranty service and additional resources. If something goes wrong you need to send your equipment back to China, wait and follow certain steps. And it should be noted that the ROI period is longer than the duration of the warranty, hence its already risky to invest in such equipment. Regarding the GPU cards, the situation seems to be the same. If you use mining version of GPU - warranty period is only 3 month - so given the RIO in this case, it’s extremely risky. Innosilicon Equihash A9 ZMaster - 180-day parts warranty for any miner purchased directly. Antminer Z9 - A 180-day warranty starts from the shipping date. Baikal BK-B - No refund and return after payment. Has a 45-day warranty for miners. It’s important how much can you get from equipment, i.e. overclocking if possible. Proper tuning can generate additional income which will help make your mining process more profitable. Read up on a variety of articles and watch video on dedicated blogs to find out how this can be achieved. For example, sometimes BIOS update for GPU can increase take profitability to the next level. It happened already with RX580 and 1080Ti. How energy-efficient is your equipment? It means that if someone uses the same equipment as you, you should pay less for electricity. The equipment should be cooled in a way, so that the Power Usage Effectiveness is low. You should calculate your total consumption - not just the consumption that is pointed out on the product specification page. First of all - manufacturers do not always provide full information or provide possible range of digits. But you will have to spend additional electricity to cool your infrastructure and facilitate for other needs. For example, if you mine in Spain, and it is summer time - you can spend 1 kWt to 1.4 kWt just to cool the bitcoin miner. PUE is changing according to condition in your location. You should spend less money on maintenance. The location shouldn’t be dusty as it can destroy the equipment quickly. And actually location is a very big factor which could be discussed in a separate article. Mining equipment should be used in a smart way, especially the GPU cards. For example, the 1080 TI video card, on which one could mine the bytom coin. Just a few people knew that it was 40% more profitable to mine it on this video card, than for example ethereum in July. You can find this out by visiting a rather common website, such as https://whattomine.com/coins, where you can see the most profitable coins to mine. There are many rare coins, that are not considered on this website. These coins are not easy to sell and exchange. They are hard to mine and the liquidity of these coins in order book is low. For example someone sells the coin X for $100$, but another one sell it for $350, and there are no offers in between, the difference can be vast. And it should be pointed out, that today it could be on offer for $600, but only $50 tomorrow. How can we find out the profitable coins to mine? It is important to browse and analyze forums, where people discuss the rare coins, firstly, the https://bitcointalk.org, especially the English version. In general, people are afraid of mining such coins due to their volatility. But there is an opportunity to predict how profitable it could turn out to be. Of course, you can count the total number of coins, but it's hard to monitor such a huge amount of coins constantly. Therefore, it’s better to test different video cards for different coins and check the hashrate. If you do some calculations, you can forecast what coins are profitable to mine today. It is not a secret, countles ASIC-miners for different coins appear on the market all the time. And the problem is, that while the miner is being delivered to you, a certain coin can stop being profitable. In general, there are a few coins with a big capitalization, such as bitcoin, ethereum and they are unprofitable for home mining now. That’s why companies produce ASICs for less known coins. People buy them, thinking, that they’ll be the first to switch them on, but it turns out being unprofitable for everyone. Because you should only buy and set up the FIRST batch shipment of miners and in no way the second or even the third one. It is more profitable to mine in a group of people. In this case, you can share the expenses and knowledge and of course, you can get group discounts on hardware. The price for electricity for retail is bigger than in some organizations, where you can get some discount as well (for entity). So, there is a trend to mine in a group, because you can earn so more. It is almost impossible to do it alone. If you want to earn from mining you should hedge your risks and equipment. You should learn how to sell the coins you have mined in advance, if you fear for drop in prices. Investigate market ability to sell future contracts on your mining product and use it. Better to get forecasted income than to be a sore loser! You can hedge the risks of buying several types of equipment, it opens a possibility to mine different cryptocurrencies. Last but not the least is that if you followed all maintenance rules, you have a bonus. If you took care of video cards, you didn’t mine with temperatures higher than 40 degrees and still it looks like a new, you can sell it. You won’t lose the CAPEX as it was supposed to. So if you got back the price you paid after a year of mining, you can sell and get a double return on the investment.